Start your day the healthy way with our Five Grain yogurt. Enjoy full on flavour with the wholesome goodness of barley, rye, oats, wheat and rice swirled with juicy chunks of fruit in our smooth and mild yogurt. 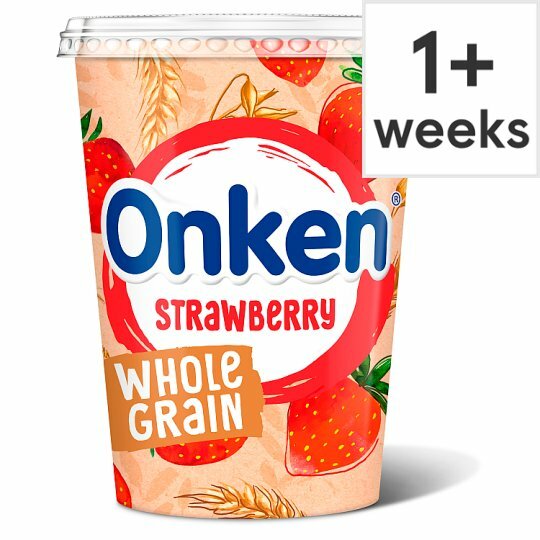 Onken's unique blend of cultures make this Biopot® so mild and creamy that it's delicious on its own, or why not try adding your own ingredients to make it yours. Live Cultures Inside - Lactobacillus acidophilus, Bifidobacterium and Streptococcus thermophilus. Keep refrigerated, Once opened consume within 3 days., Best Before: see date on lid.